Tesla cars are becoming increasingly popular with the general public, not only for their superb performance and looks but also the environmental aspect. Tesla cars are powered by electricity so are in perfect step with the global need to reduce harmful emissions from vehicles and use cleaner, renewable energy to power them. As such, a Tesla car gives the owner a chance to do their bit for the environment while still having a fast, sleek car to travel around in. The most popular model currently is the Model S which is an electric, luxury sedan. With chargers located throughout Europe there is no need to worry about where to charge the car up when needed. The Model S has been the world's best selling plug-in electric car for two years in 2015 and 2016. Once you have purchased a luxury car such as a Tesla, you naturally want to do all you can to keep it safe. Tesla car trackers are a fantastic way to do this. If you have never used a car tracker before, you may wonder what one is and why you should be interested in Tesla car trackers. 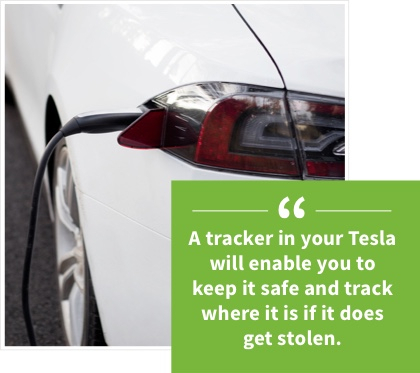 The answer is simple - fitting a tracker in your Tesla or any other car will enable you to keep it safe and track where it is if it does get stolen. Car trackers are discreet and once installed, sit unobtrusively in your vehicle to protect it. 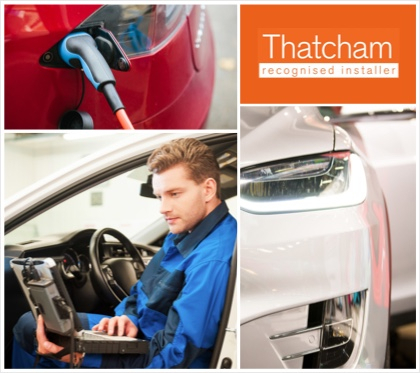 After speaking to our team with your initial enquiry, one of our trained, Thatcham approved engineers will come to your home, workplace or even car dealership to safely install your tracking device. The car tracker will then use motion sensor and global positioning technology to pick up any illegal activity related to your Tesla's movement or help the Police track it down if it is stolen. What trackers are compatible with my Tesla? For more information, please contact our helpline on 0800 7565100. Our specialists will talk you through the available options.